Home » Posts » Blogs » Contact Lenses: More Dangerous than LASIK Surgery? Contact Lenses: More Dangerous than LASIK Surgery? The prospect of surgery on our eyes can scare us. We all know how delicate they are, and the fear of blindness can dissuade us from undergoing any form of eye surgery. We prefer to stick with contact lenses and glasses rather than put our sight at risk. Though understandable on the surface, the simple fact is that LASIK eye surgery is not only safer than wearing contact lenses; it improves vision and quality of life as well. Wearing contact lenses may permanently damage your eyes. The simple fact is that when we insert contact lenses into our eyes we increase the possibility of infections. Bacterial irritation, changes to corneal thickness, ulcers and micro-cysts can all form as a result. If only takes one slip up when we wash our hands for this to happen. This can lead to blindness in extreme cases and often leads to permanent vision damage. Around 1 in 2000 people experience complications due to the frequent use of contact lenses. 1 in 10,000 experience complications as a result of LASIK eye surgery. Sleeping with contact lenses is simply not a good idea. Some wearers try to minimise the risk of infection by sleeping with their lenses in place. This is a bad idea as permanent eye damage can and does happen. Fluid and oxygen is restricted around the cornea resulting in dryness while we sleep. Dryness is a significant factor in vision damage. So why is LASIK Surgery safer? In the early days of LASIK eye surgery, it was understandably approached by most with trepidation. The technology was new and the idea of firing a laser into our eyes was, frankly, all a bit sci-fi scary. In its early years, despite successes, a few patients did report blurry sight or cloud spots in their vision. With the development of eye mapping technology which gave eye surgeons clearer and clearer maps of the cornea, these reports reduced to virtually zero. LASIK surgery also improved with the development of eye tracking. This has meant that a laser is only fired once it is in the correct position. This has also reduced the amount of time the laser needs to be fired – greatly reducing the risk of the wrong part of the eye being operated on considerably. Zero chance in fact. The technology has also given pioneering surgeons a better understanding of our eyes and how it works. It is not just about the technology. An essential element to the success of eye surgery is to ensure you are ready and suitable for it. 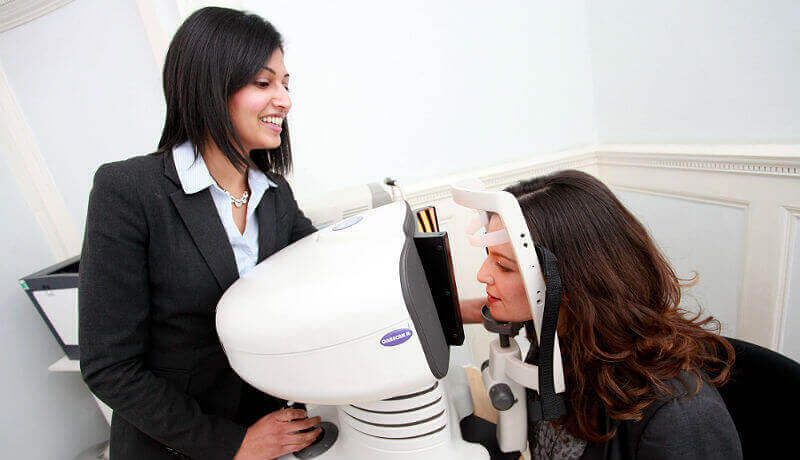 At Advanced Vision Care, we put your eyes through extensive tests to determine suitability. We will not recommend a treatment that you are not suited to under any circumstances. We also take time to explain the benefits and risk of any eye treatment we recommend. It is important you understand this in full before committing to any surgery or treatment. Though the initial cost of eye surgery can seem high, over the long term LASIK surgery will save you money over the frequent purchasing of contact lenses. If you choose not to have surgery you will be locked into a cycle of payment after payment. Paying a one off fee will free you from this ongoing outlay. Though you can have 20/20 vision with contact lenses, the risks, the hassles and the costs all add up to a lessening of your quality of life. LASIK eye surgery can transform the rest of your life. American marines are recommended to undergo LASIK eye surgery routinely. 92% of which have 20/20 vision after the procedure. When we take all the facts into account, LASIK eye surgery is the clear choice. So why not call AVC TODAY on 0800 652 4878 and request your free information pack or book your consultation to find out how we can help you to change your life for the better.